For anyone who aspires to conquer the Appalachian Trail, those who have completed the journey and want to hike down memory lane, and even those who simply want to taste the experience, Backpacker Magazine promotes AT in a Day. 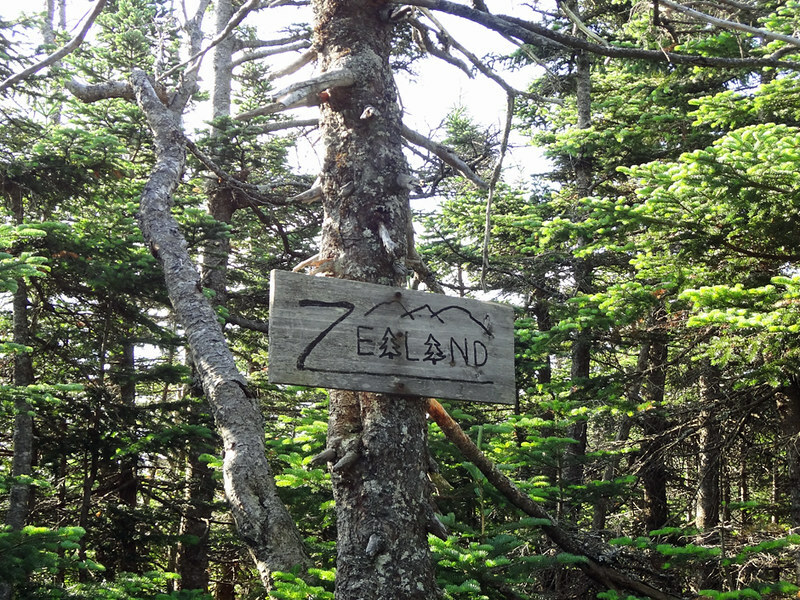 Their goal is to unite the hiking community to collectively complete the Appalachian Trail in a single day. Sounds fun, right? That’s what I thought! So this year I got online to register for a section. 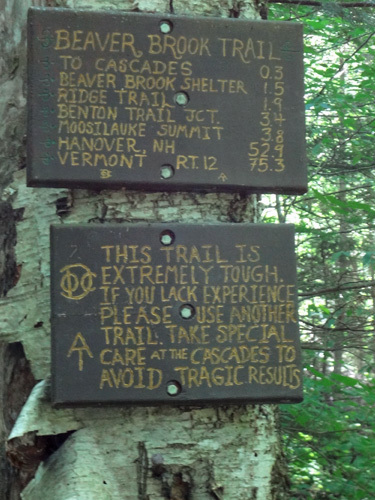 Most of the options were only three or four miles, but one stood out: A 25+ mile section (not counting the approach trail and side excursions) from Franconia Ridge to Route 302 that was marked as a “challenge.” It’s moments like this where I’m blind to common sense. Challenge accepted. But why horde all the pain and suffering for myself? I called my brother Brad and roped him into the masochism. After all, misery loves company. The following is a photo diary of our journey. 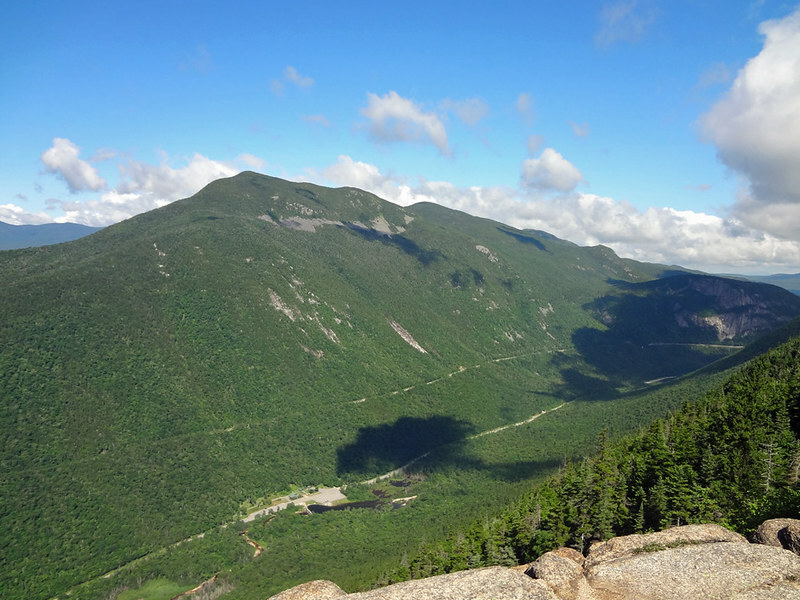 If you’re looking for trail descriptions, please refer to the Pemi Loop, Franconia Notch to Mt. Garfield, Mt. Garfield to Mt. Guyot, Mt. Guyot to Mizpah Spring Hut posts. We slept in a van down by the…well, in this case, mountain. The alarm interrupted our slumber at 3 a.m. and we were on the trail twenty minutes later, a race to catch the sunrise on Mt. Liberty. We made it to the summit of Mt. Liberty just in time for the show. And what a show it was as the sun continued to rise over the Pemigewasset Wilderness. Looking back at the Mt. Liberty summit in the early morning light. The sunrise continued to work its magic over Franconia Ridge. Oh, sure, Brad was all smiles at the beginning of the hike. The thing is, I knew what I was getting us into, so I only had myself to blame. Coincidentally, Brad also had me to blame. I’m sure we’ll be on speaking terms again by the holidays. Looking back on Mt. Liberty (the first pyramid) from treeline on Little Haystack Mountain. I stopped for a photo on Little Haystack. Note all the photos we’re taking at the beginning of the hike…yeah, that changes by the end of the day. The summit of Little Haystack Mountain. 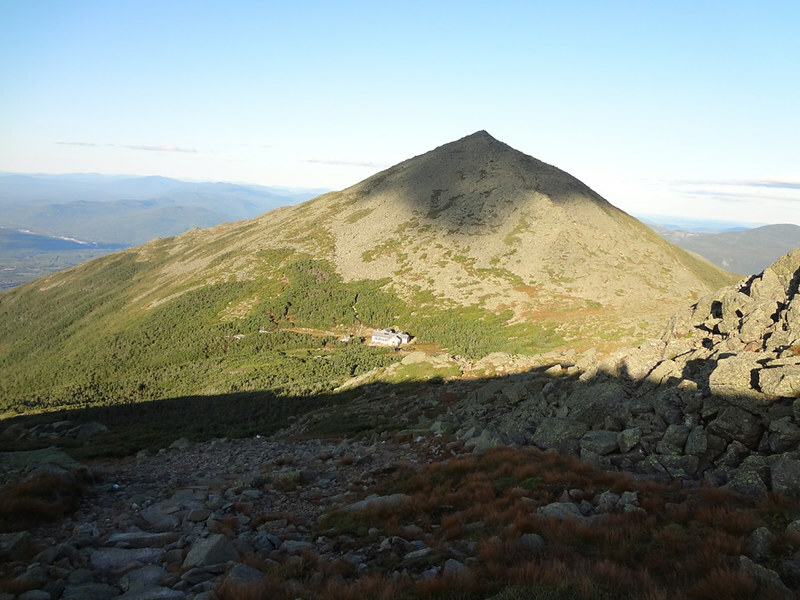 The Franconia Ridge Trail from Little Haystack to Mt. Lincoln. Looking back at Franconia Ridge to Little Haystack from Mt. Lincoln. Another shot of Franconia Ridge and the Appalachian Trail on the south side of Mt. Lincoln. The view from Mt. Lincoln across Franconia Notch to Cannon Mountain. The big beauty, 5,260-foot Mt. Lafayette as viewed from Mt. Lincoln. Looking back on Mt. Lincoln and the Appalachian Trail from Mt. Lafayette. The view of the Garfield Ridge Trail/Appalachian Trail from Mt. Lafayette to Mt. Garfield. 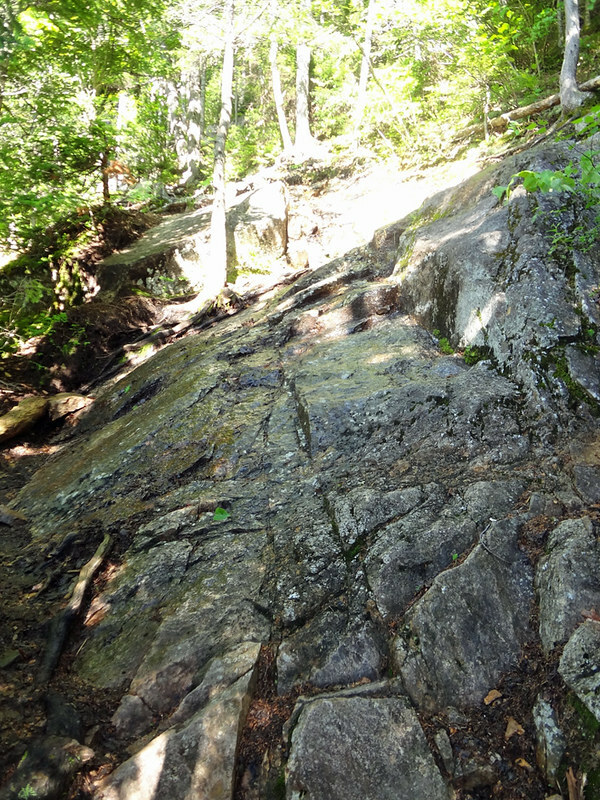 The Appalachian Trail’s northbound descent of Mt. Lafayette via the Garfield Ridge Trail. 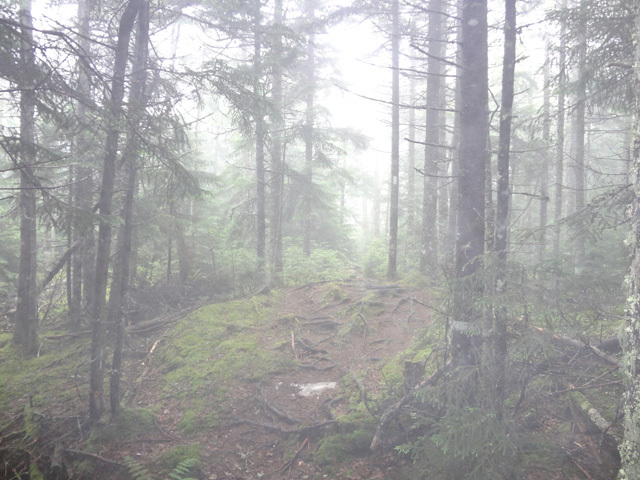 A cool stretch of forest on the Garfield Ridge Trail portion. A hiker summitting Mt. Garfield. After descending Mt. Garfield to the spring at the Garfield Ridge Campsite, it probably wasn’t a good sign when we were talking to a thru-hiker, and upon telling him where we were going, he looked at us like we were crazy. “Where’d you start?” he asked, as if he hadn’t heard us correctly. The view of Owls Head and the Pemigewasset Wilderness from Mt. Garfield. The view of Galehead (front middle) and the Bonds from Mt. Garfield. Looking back at Mt. Lafayette and Franconia Ridge from Mt. Garfield. Is it: A. 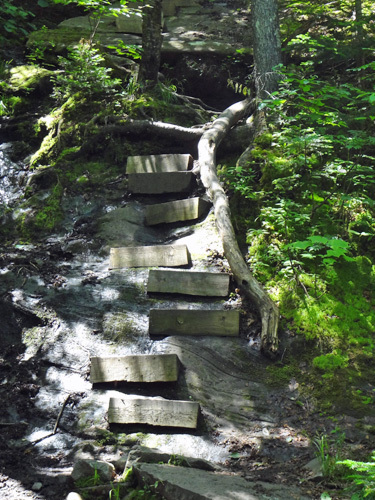 The Appalachian Trail; B. 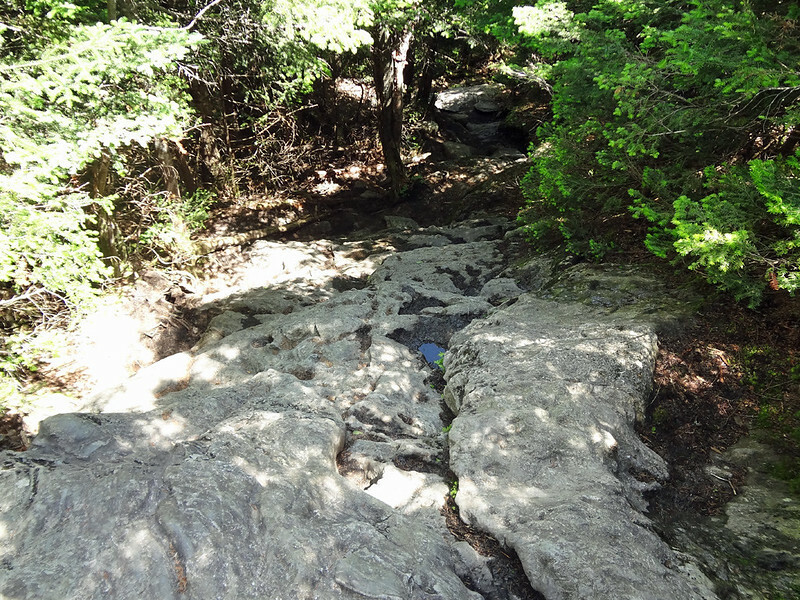 A small waterfall; or C. All of the above? Yes, that’s a rhetorical question. It might not look like much, but this climb of South Twin Mountain from the AMC’s Galehead Hut was the most challenging climb of the day. It gains 1,122 feet in elevation over .8 of a mile. The view of the Pemigewasset Wilderness from South Twin Mountain. There are also views of the Presidential Range from South Twin, but realizing our hike was likely going to end in the dark, we didn’t delay long here. The view of the open South Guyot Summit just before the AT turns to ascend Mt. Guyot. Fast forwarding quite a bit, here’s the view of Mt. Carrigain and Carrigain Notch from Zeacliff. The view of Whitewall Mountain from Zeacliff. 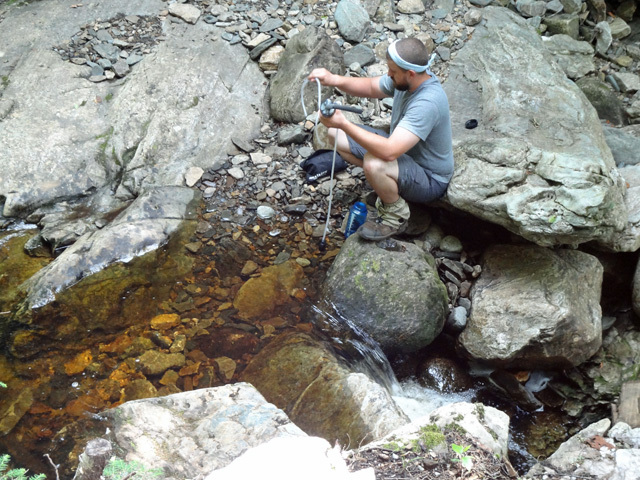 “You can see where the Appalachian Trail crosses at the base of the mountain,” I said. “I’d rather not know,” Brad replied. We made it to the base of Whitewall Mountain, and despite there still being 6 miles left to our hike, this was the last photo I took. After beginning our hike at 3:20 in the morning, we finished at 9:30 p.m., completely spent. Total miles: 28.4. In other words, we hiked 1% of the Appalachian Trail for AT in a Day. Not too shabby.